To the Victorians, the Anchor was a symbol of Hope, an emotion that provided a refuge from the travails of living in a time when death was always near. No doubt, those tight corsets had a lot to do with it. 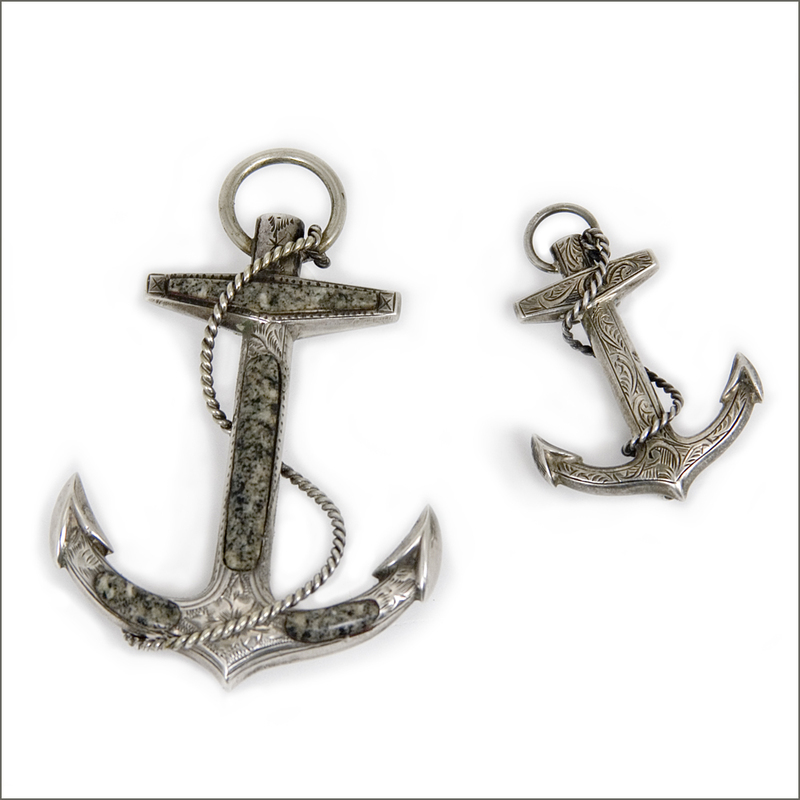 Faith (Cross), Hope (Anchor) and Charity (Heart) were popular charm motifs in Victorian jewelry. The Anchor of Hope on it's own, was often made into larger brooches, which could also be worn as pendants. Two of my recent acquisitions, and shining examples of the 19th - early 20th century genre are pictured here, in sterling silver with finely engraved detailing and entwined ropes. The superb larger brooch is inlaid with charcoal colored Scottish granite. Cynthia Rybakoff Estate Collection jewelry is available at Artists & Fleas.